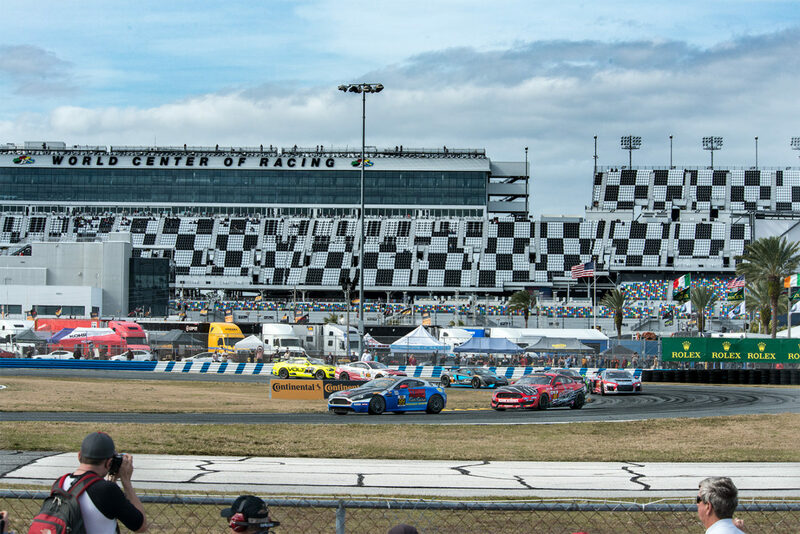 Six Canadian drivers raced in the 2018 BMW Endurance Challenge at Daytona on Friday, and it proved to be a very successful day for two of those drivers. Kuno Wittmer, from Montreal, Quebec drove the No. 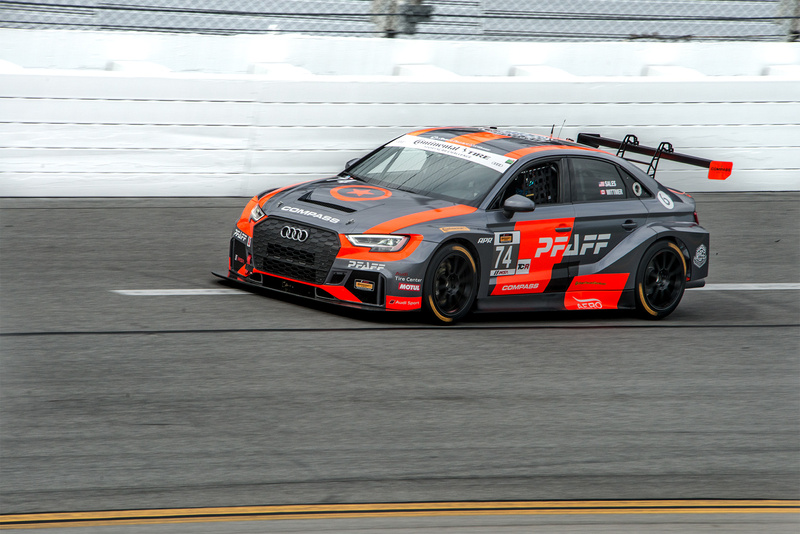 74 Compass Racing Audi RS3 LMS TCR to second place in class and twentieth overall. 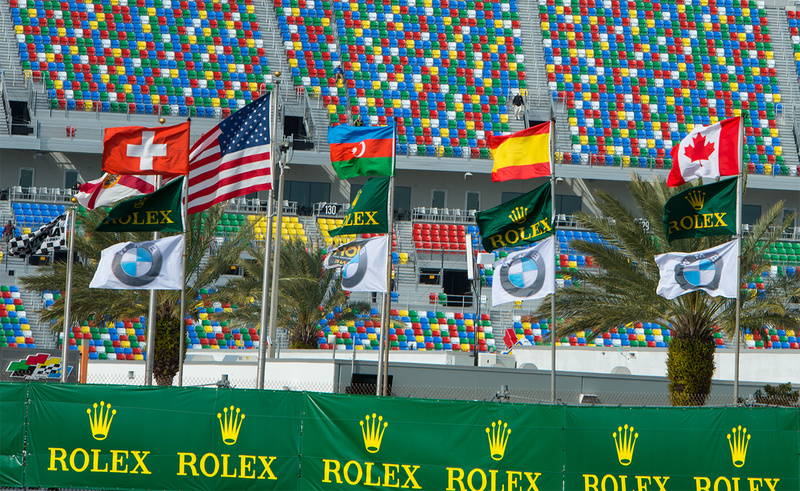 After missing all three pre-race practice sessions due to mechanical gremlins, the team only ran 4 laps in qualifying before the start of the race. 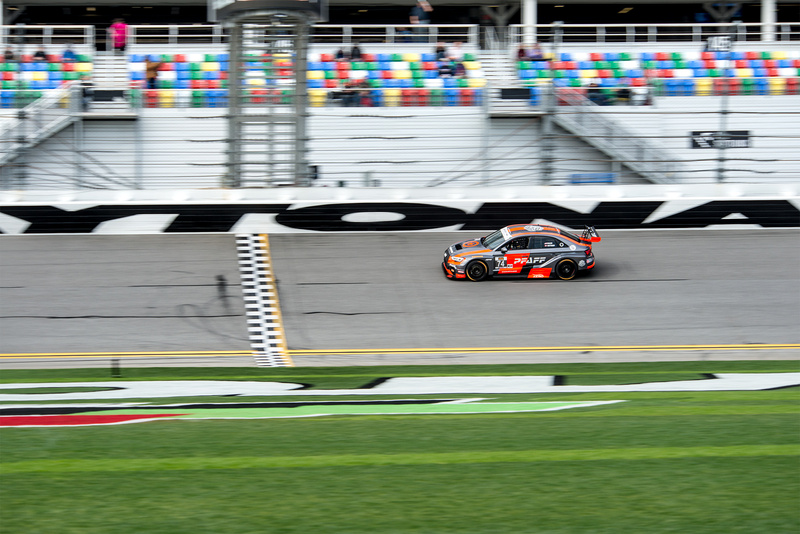 And in storybook fashion, in those four laps Wittmer managed to put the car in pole position for their class. 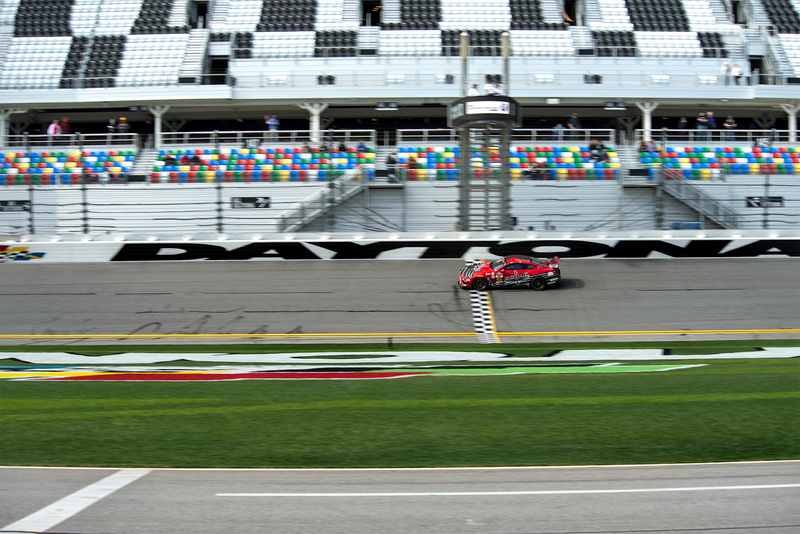 Wittmer started the race, team mate Rodrigo Sales drove the middle stint, and Kuno finished the race. Wittmer attributes the second place finish to the hard work of the Toronto-based team, the flawless pit stops, and no penalties for the team or the drivers. 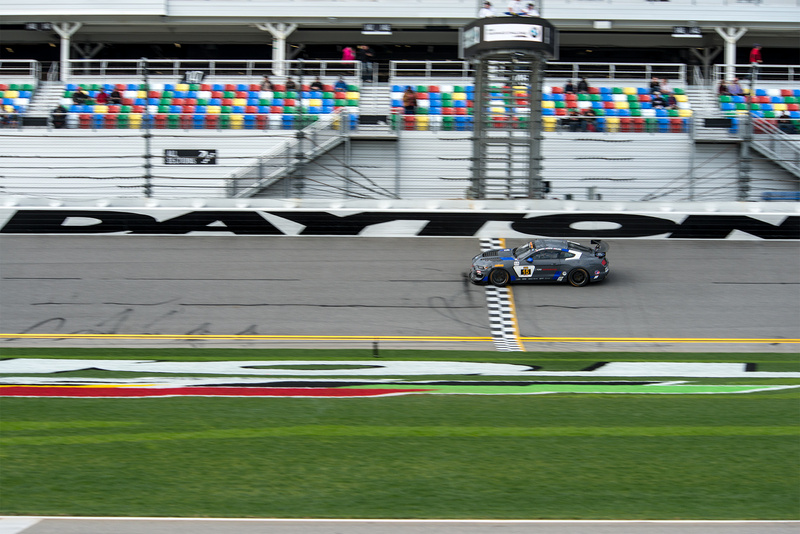 “The cars are amazing to drive,” said Wittmer after the race. 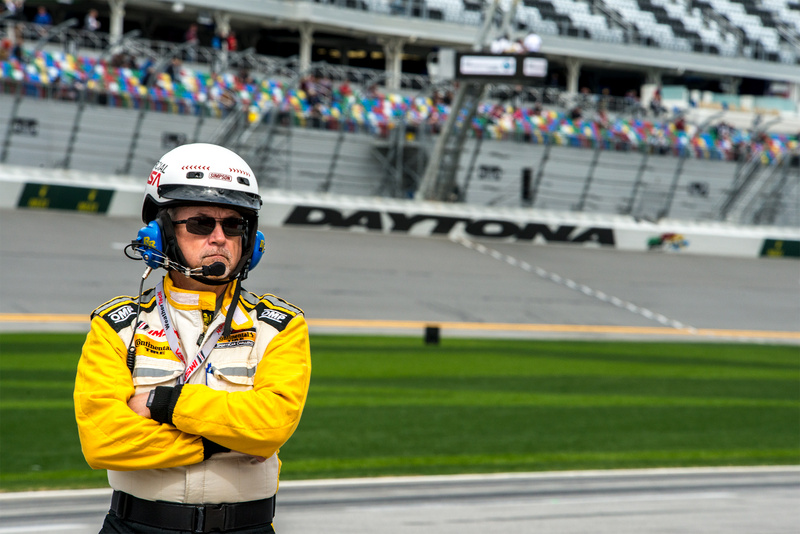 “The last 30 minutes were just flat out among the top four of us (in the class). 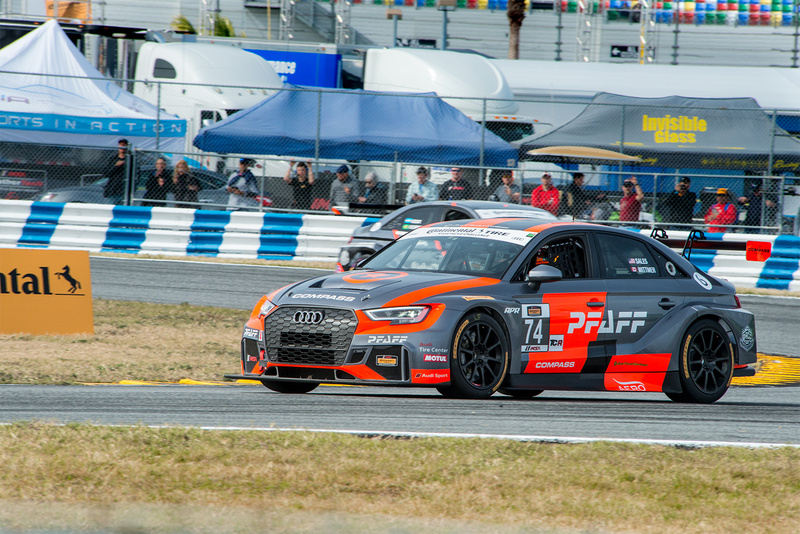 There was zero contact, just a little bit of body rubbing, but its touring car racing and that’s what you have to do—you have to be a little bit aggressive, but respect each other.” Wittmer is off to Australia and will be racing in next weekend’s Bathurst 12 Hour endurance race. He has never participated in the Bathurst 12, and he will be driving a BMW M4 GT4 that he has never driven. Toronto native Scott Maxwell drove the No. 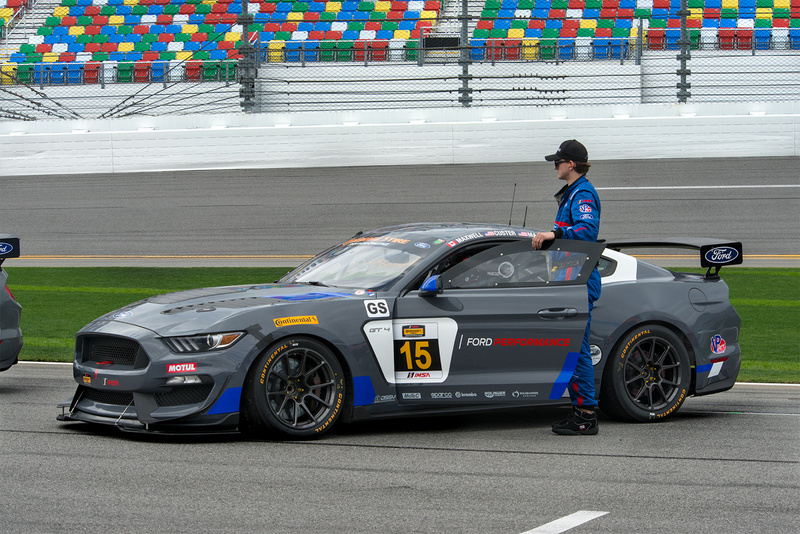 15 Markham-built Ford Performance Multimatic Motorsports Ford Mustang GT4 and finished third overall and third in class with co-drivers Cole Cusler and Ty Majeski. Kyle Marcelli from Barrie, Ontario, drove the No. 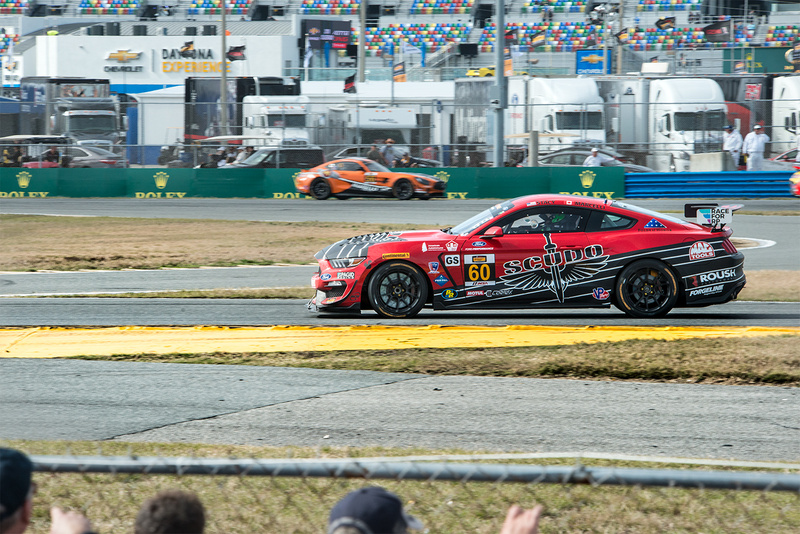 60 Roush Performance Kohr Motorsports Ford Mustang GT4 and finished twenty fourth in class and thirty sixth overall out of forty one cars in the race. Other Canadian drivers participating in the race included Martin Barkey from Huntsville, Ontario who drove his No. 80 AWA Ford Mustang GT4 to eleventh place overall and eleventh in class. Aaron Povoledo from Toronto, Ontario drove the No. 63 Mercedes-AMG DXDT Racing car to thirtieth in class and thirteenth overall. Jesse Lazare from Montreal, Quebec took their No. 69 Motorsports in Action McLaren GT4 to eighteenth in class and eighteenth overall. The overall race winner was the No. 28 RS1 Porsche Cayman GT4 MR driven by Dillon Machaven from Burlington, Vermont and Spencer Pumpelly from Atlanta Georgia. 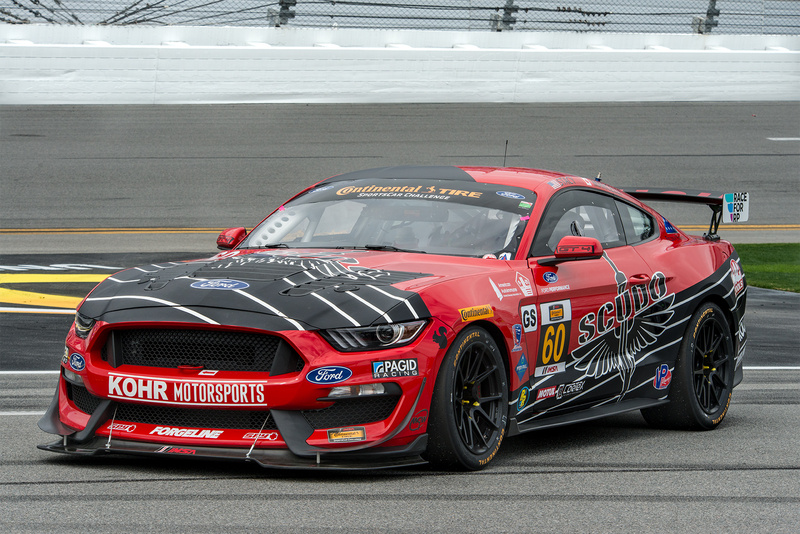 The next race in the Continental Tire SportsCar Challenge series is the Sebring 120 which takes place in March 14-17 in Sebring, Florida. PHOTOGRAPHS and VIDEOS © Copyright 2017 – 2018 TrackWorthy Group Ltd.